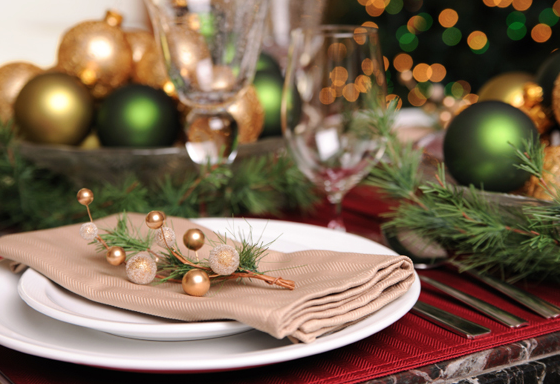 Host a "Green" Party in Your North Shore Home this Holiday Season! With Thanksgiving tomorrow, you’re probably busy preparing to get together with family and friends to celebrate! It’s a wonderful time of year to host loved ones in your North Shore home and enjoy the season. For those of you who have lived on the North Shore for even a short amount of time, you know that the North Shore is committed to creating an eco-friendly environment. Throughout the year you’ll find workshops, events and initiatives that promote going green as a community, as well as in your North Shore home. If you are hosting a dinner party this holiday season and are looking for ways to be environmentally conscious, I’ve gathered a few tips below that may seem simple, but will go a long way! Take a look! 1. Switch to Convection- Now, we don’t expect that you’ll run out and buy a new oven before your holiday party, but this is something to consider for the very near future! Switch from a conventional oven to a convection oven. The difference? A convection oven continually circulates heated air, which means food cooks more quickly and reduces energy usage by 20%! Imagine being able to prepare food faster and save on energy- all from one appliance! 3. Buy Local- Shopping locally from farmers and other various growers for ingredients for your holiday party (or any time!) is a great way to cut down on our carbon footprint as well as help support sustainable growing in the North Shore communities. 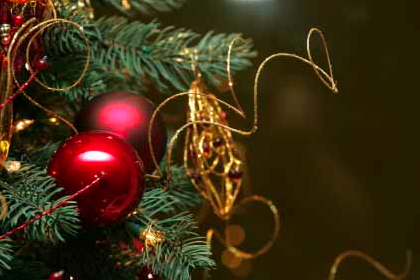 I hope these tips inspire you to take an eco-friendly approach to the holiday season! You’ll not only love spending time with your guests, but will feel good about what you’re doing to help the North Shore environment! 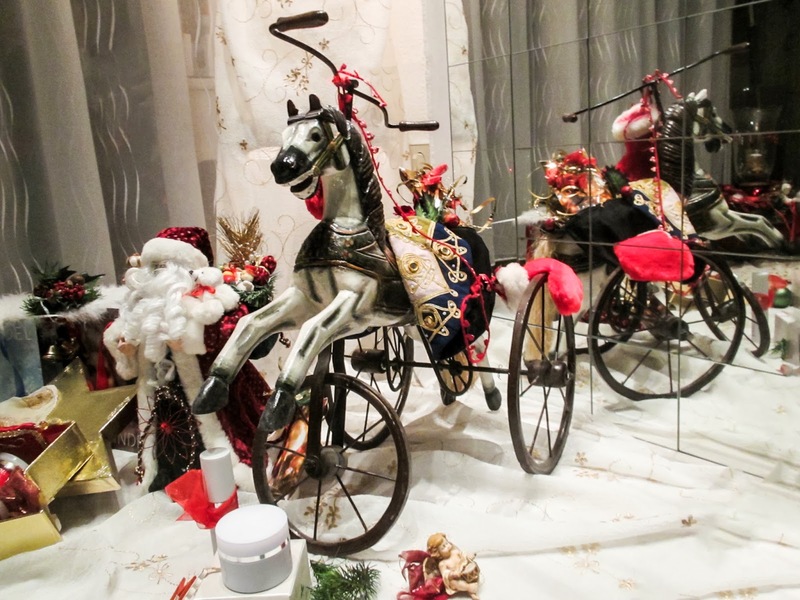 Kick Off the Holiday Season with These Upcoming Events on The North Shore! There’s a growing anticipation of the holiday season here on the North Shore as we see decorations going up all around us and the chill in the air. 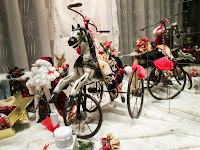 It’s a beautiful time of year on the North Shore whether you live in Winnetka, Deerfield, Northbrook, Highland Park, Glencoe or any of the other unique North Shore towns. As a North Shore Real Estate agent, I enjoy living and working on the North Shore and being a part of these vibrant communities, which is why I love to highlight what’s happening around town! 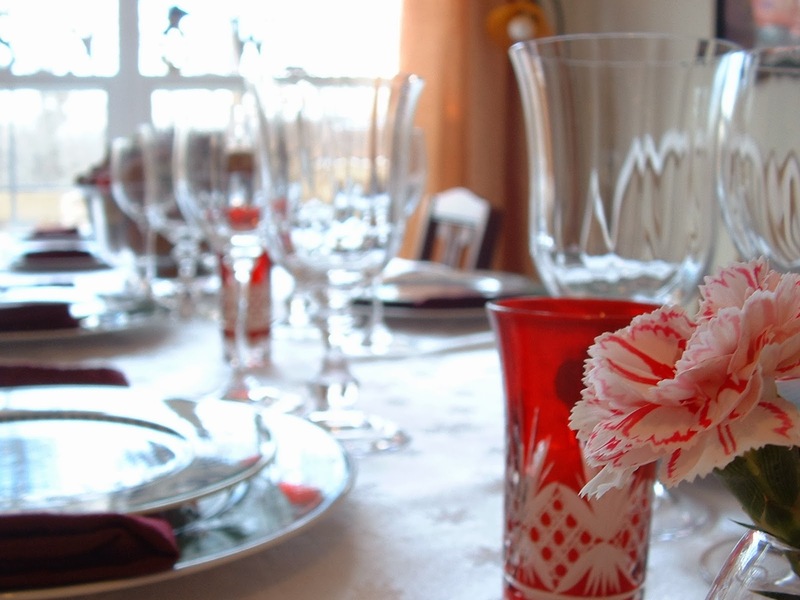 If you’re planning on hosting loved ones within the next week or two for the Thanksgiving holiday, you may be wondering what you can do to create even more holiday cheer. Here are a few upcoming events you won’t want to miss! Public Works Yards- 1390 Willow Road, Monday – Friday, 7:00 AM to 5:00 PM. This is a great way to keep with the spirit of giving this season and provide joy for those children who need it most! For more information on the gift drive, visit the Toys for Tots website. - Don’t miss the Annual Holiday Lighting this Saturday in Downtown Highland Park! This is the perfect way to kick off the season as you’ll be surrounded by festivities such as performances by Highland Park High School Marching Band and the Lake Forest Country Day Middle School Choir, as well as performances by Irina Makkai Ballet at Uncle Dan's and readings of the Nutcracker by Clara and the Sugar Plum Fairy at Sprout. The fun continues with a scavenger hunt with prizes, the arrival of Santa and the official tree lighting of over 275 trees! For more information, please visit the Downtown Highland Park website. - Glencoe will be hosting its’ annual Light the Village Lights the Friday after Thanksgiving and is another fun way to experience kicking off the holiday season! Everyone is invited to attend this event hosted by the Village of Glencoe and the Glencoe Chamber of Commerce. The lighting will take place at the Northwest Corner of Park and Vernon Avenues. To learn more, visit the Village of Glencoe website. I hope you’re able to begin your holiday season by attending one of these events! It’s fun for residents and guests alike to experience the cheer and community atmosphere here on the North Shore! If you don’t currently live on the North Shore, but have been interested in learning more about the North Shore Real Estate market, please feel free to contact me today! I would be happy to answer your questions and show you homes currently available on the North Shore! 5 Benefits of Buying a North Shore Home During the Holiday Season! With Thanksgiving just around the corner, many of us are anticipating the festive holiday season! It’s hard to believe that soon this year will be coming to a close, yet there’s still time to jump into the North Shore Real Estate market if you’re hoping to buy a North Shore home before the end of the year! 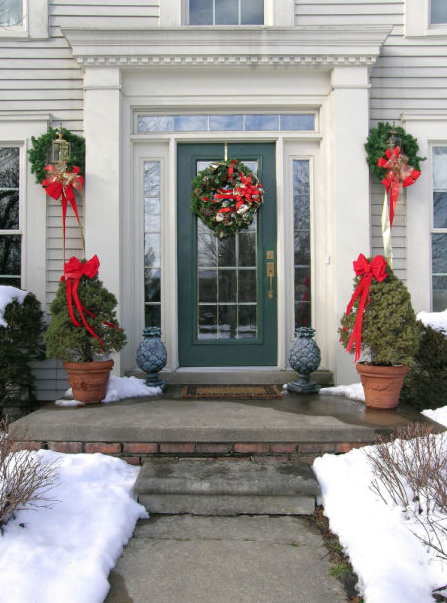 Buyers oftentimes will feel that their best bet is to hold off until the spring because of the holiday season. However, there are those that find themselves needing to purchase a North Shore home now and, in fact, it can be a great time to do so! Here are a few of the perks of buying a North Shore home during the holidays! 1. Lower Pricing- With the lack of people searching during the holidays for a home in the North Shore; prices soften a bit. You can view my website, www.JanieBress.com, to see a list of my current North Shore homes for sale. You’ll notice these homes are priced to sell and are a great deal for buyers. 2. Less Competition- Many buyers don’t think to take advantage of house hunting during the holidays, so you’re sure to avoid any bidding wars that would occur at a peak point on the North Shore Real Estate market. This will mean a less stressful home buying experience for you! 3. Motivated Sellers- Sellers dread not being able to sell their homes before the holidays get under way. They’re very aware that most are not in the market to buy a home until Spring rolls around, which means; they’re motivated. They know showings of their home will greatly decrease, so any activity on their home is good news. Oftentimes they’re willing to come down on the price or be flexible with closing dates, and other extras. 4. Favorable Mortgage Terms- Mortgage lenders may be willing to lower interest rates or let go of some of their fees in order to gain your business. With fewer people shopping for homes; they will be experiencing a slower time in their business as well. Be sure to shop around to get the best possible deal. Your North Shore Real Estate agent will help point you in the right direction. 5. Tax Deduction- Closing before the end of the year can mean you are eligible to deduct the interest component of your first monthly mortgage payment from your taxable income for this year. You may also be able to deduct any money you pay for points to reduce your interest rate. Of course you’ll want to consult with a North Shore tax advisor to talk over the full details. Hopefully these perks will help you take the next step in your North Shore home search this holiday season! I’m always available to answer your questions and, as an experienced North Shore Real Estate agent, can walk you through the home buying process with ease! Contact me today to get started! Winnetka Active Listings: There are a total of 103 properties actively on the market with the average price of $2,318,445 in Winnetka. Winnetka Sold Listings: 21 properties closed last month in Winnetka with an average sales price of $1,482,823, the average time on market for these properties was 71 days. Northbrook Active Listings: There are a total of 176 properties actively on the market with the average price of $672,637 in Northbrook. Northbrook Sold Listings: 51 properties closed last month in Northbrook with an average sales price of $403,066, the average time on market for these properties was 36 days. Highland Park Active Listings: There are a total of 174 properties actively on the market with the average price of $1,332,845 in Highland Park. Highland Park Sold Listings: 53 properties closed last month in Highland Park with an average sales price of $566,449, the average time on market for these properties was 92 days.